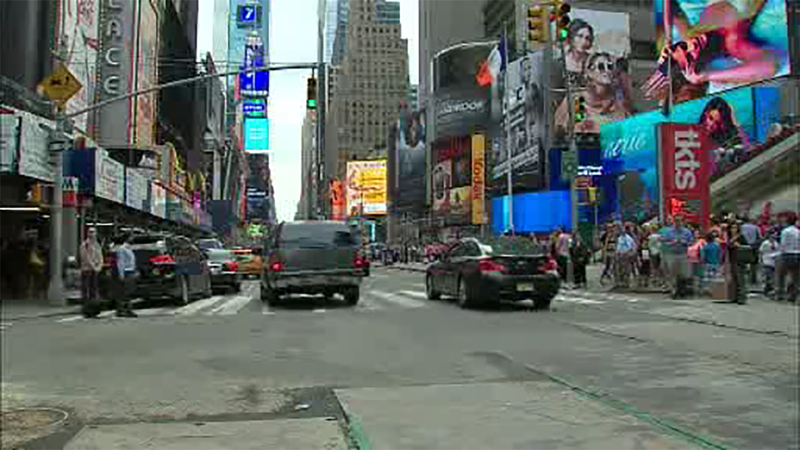 TIMES SQUARE, Manhattan -- A 51-year-old man is behind bars after police say he swung a 3-foot-long sword at people in Times Square. Ronald Pearson of Brooklyn began swinging the sword Saturday at about 1:30 a.m. on 7th Avenue and 42nd Street, according to the NYPD. Investigators say he also allegedly swung the sword at three police officers as they arrested him. Police say they uncovered two other weapons on Pearson. He was charged with menacing, criminal possession of a weapon, and reckless endangerment.